311 Meadowmoor Road, Greer, SC 29651 (#251645) :: Century 21 Blackwell & Co. Realty, Inc.
ARCHER Floor plan. Must see this quality built home by Enchanted Construction. Standard features include Granite Countertops, Crown molding with rope lighting. Trey ceiling in Master Bedroom, Hardwood flooring, Gas Fireplace, Covered back porch and Fully sodded yard. 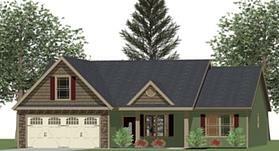 Beautiful new subdivision with community pool and Possible USDA financing.